Dance is the language of the soul ... a moving method of self-expression and self-discovery, revealing our own innate mystery and union with the Universe. Dance has historically been a mystical art and an authentic path to spiritual realization. Mystical Dance® strives to open a window for the modern seeker to embrace dance as one of the many beautiful, potent tools for re-kindling our inner radiance and dancing the Divine into existence ... moving beyond merely 'being the dancer' to knowing that we are also the dance. Mystical Dance® begins where regular technical dance instruction ends. It is about dancing from the inside out. By understanding the energetics of dance based on the ancient chakra system of India and tapping into the tradition of women's sacred circles and ritual, we experience the profound power of dance. Stretching beyond the illusion of the apparent beautiful outer form, we recognize the consciousness and Truth that moves us All. Mystical Dance® is a holistic, creative, integrative approach developed by Monika Nataraj to unveil our Divine Feminine mystery. 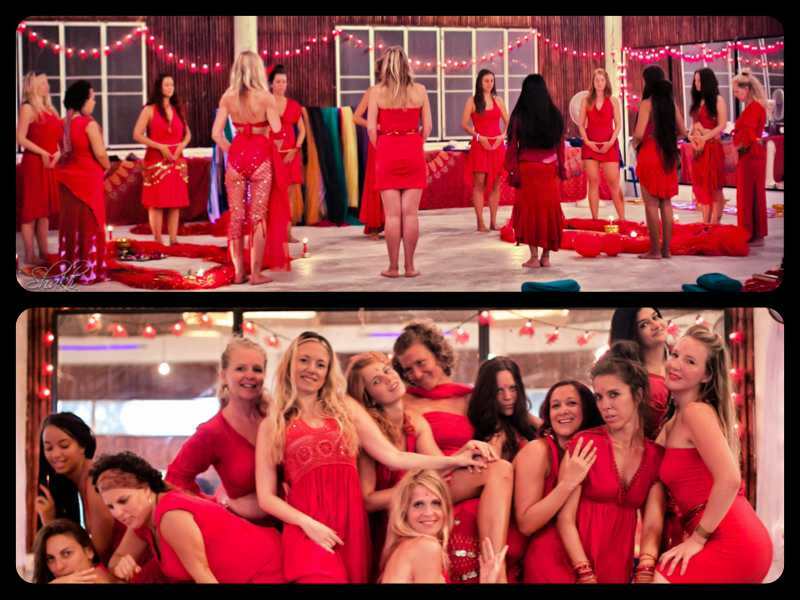 Workshops, Retreats, Sacred Journeys and a 250-hour Mystical Dance® Teacher Training Course are offered in some of the most beautiful and stunning destinations in the world. Please see this link for these global women's sacred dance events, including upcoming gatherings in India, Thailand, Turkey, Japan, US, Canada and China. 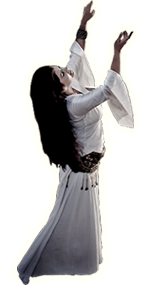 Monika Nataraj weaves ritual belly dance, temple dance, Sufi whirling, chakra dance, Goddess invocation and tantric theory into these original and inspired intensives. Mystical Dance® reflects Monika's rich experience as a professional dancer, teacher of yoga, meditation and tantra, and humble devotee to the Great Mystery. Over the past decade, she has has brought Mystical Dance® workshops to 20 countries and directly to more than 2,000 women. 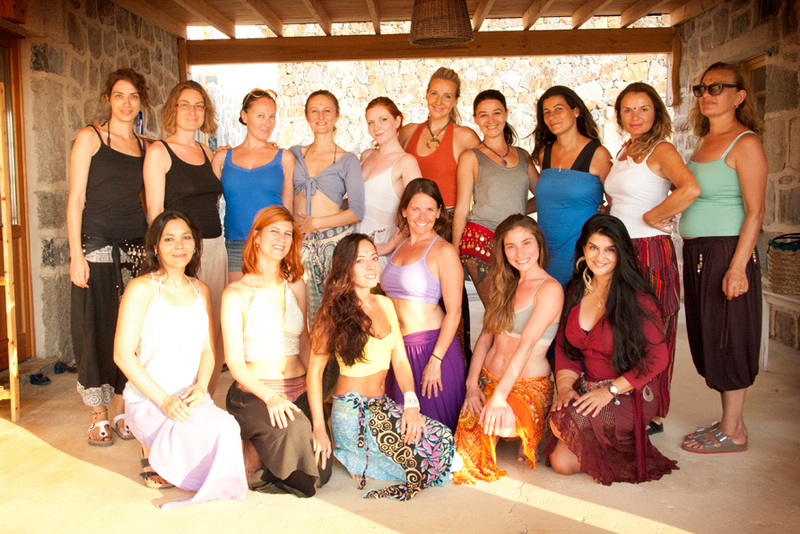 There are currently 180 certified Mystical Dance® teachers hailing from an impressive 44 countries and six continents. Monika also leads the 200-hour Shakti Spirit® Teacher Training Course which integrates the Mystical Dance® principles into a very expressive, deep, free-style dance journey. "The dance is really when the dancer is no more. If the dancer is still there then it is not a creative act, then it is at the most a skill. The technician is there but not the dancer – one who knows how to dance is there but not the dancer. Because the dancer knows nothing; the dancer remains in a state of not knowing. She forgets all her skill, she forgets all the techniques that she has learnt she forgets herself, she is utterly lost. She is in the hands of Goddess. She cannot even say ’I am dancing’ – she can only say ’Goddess has taken possession of me, I am possessed. Goddess is dancing in me. I am the field where Goddess is dancing, I am the hollow bamboo and Goddess is singing. She has made a flute of me."